People often forget about, or don’t know the value in following up with the representatives they met. You may have grabbed some business cards, contact information or brochures, maybe even some free swag. It’s important to connect with the people you met to get the full value of the show, and that starts with a quick and easy follow up email. You just came back from a trade show and you have a list of contacts from the schools you’re interested in. It doesn’t take long to write a follow up email, and they’ll help you get even more information, and remind you of what you may have talked about and already forgotten. You should follow up with every school you came in contact with. It is greatly appreciated and it will make you stand out from the rest of potential students. Compile your notes from the trade show and pick out which schools interested you most, what schools you want to learn more about and what key points you learned from the representatives at each booth. If you picked up any brochures, read them and see if there’s anything that you didn’t learn from the trade show, but would like to learn more about now. Now you’re ready to write your follow up email. There are a few things you have to remember when composing this email. Make sure your writing is clear and professional. Don’t use slang or jargon. If your writing is unprofessional, the representative may think that you’re not seriously interested. It’s always a good idea to have a friend look over an email before you send it. Address the representative by name. Start with a formal introduction. Don’t address the email to ‘To Whom it May Concern’ because it is impersonal and whoever you are emailing is more likely to read it if it is personally addressed to them. Start your email by thanking the representative. They took time to talk to you, they will appreciate that their time was valued. Remind them where they met you. If this person travels to different events, they may not know right away which event they met you. Put this information in the subject line, and in the opening sentence of your email. Include specific details in your email. This is where key points are helpful. If there was something that was emphasized in your meeting, make sure to state that you enjoyed hearing about it. They will appreciate that you were paying attention and are genuinely interested. This is the perfect opportunity to ask any questions that may have come up since the fair ended. Again, this shows the representative that you have genuine interest in their school and want to learn more. Express your interest to meet again. Ask if they’ll be in your area anytime in the near future. If you plan on visiting them, let them know in your email. They will remember you, and prepare to meet you at an upcoming event. Did You See us at CMPX 2018? 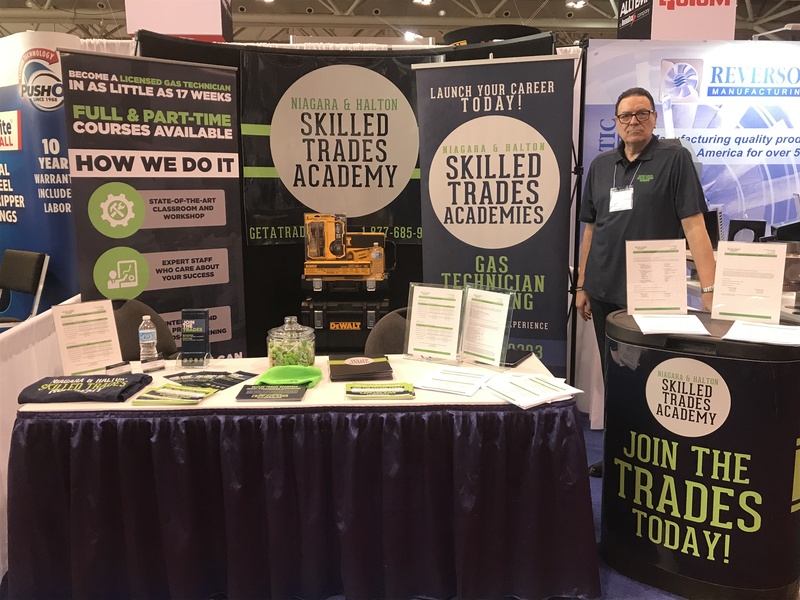 The Skilled Trades Academy attended the Canadian Mechanical & Plumbing Exposition this week, and met with lots of CMPX attendees interested in the Skilled Trades Academy. If you stopped by our booth during those days, we would love to hear from you! Click below to get in touch with us. Our team is here to answer any questions you may have about starting your career in the trades.